LinkedIn provides fields to include images, links to your website and blog, videos from YouTube, and a variety of other content. Take advantage of this opportunity to drive LinkedIn users to your company and brand. UPDATE: Since the original date of this posting, LinkedIn has eliminated the Products and Services functionality. So you can ignore the following tip. Sorry Guys! UPDATE: Unfortunately, the ability to request and display recommendations was also removed (by LinkedIn) along with the entire Products & Services functionality. So you can ignore this tip too. Once your products and services are set up, you can now request recommendations. It’s a great way of collecting testimonials for your products and services in a way that’s different than the personal recommendations on your profile. Available only to company administrators, the Analytics tab provides information about page views, unique visitors, clicks on your products and services, and the types of people and industries that are visiting your company page. A nice tool and great source of insight. These are just a few tips to get the ball rolling. 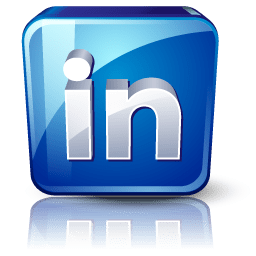 Contact us for if you’re interested in developing a personalized, one-on-one strategy for using LinkedIn Company Pages to engage followers and drive business.